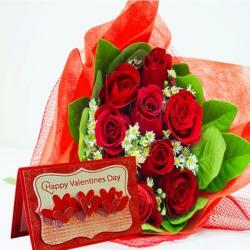 Product Consists : Bouquet of 18 Red Roses along with Valentine Greeting Card. You will definitely appreciate the warmth and happiness that this gift combo signifies. 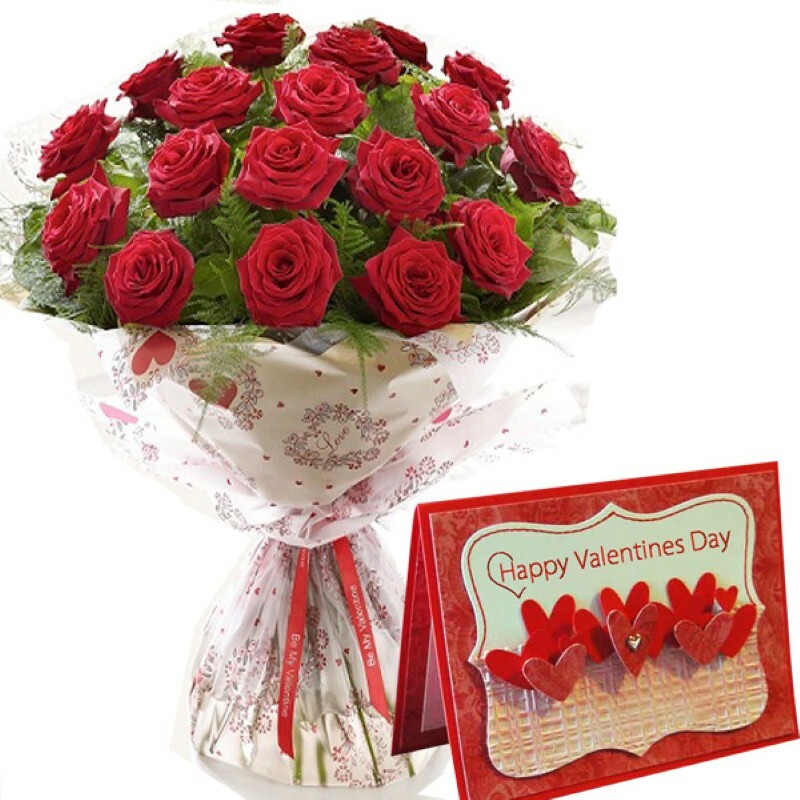 Send fabulousness gift for your dear ones on their special day and win their heart which includes Bouquet of eighteen stemd of Red Roses along with Valentine Greeting Card. Let your emotions speak with this handful of enchanting fresh flowers in all the Most alluring colors like red to win loveones heart. 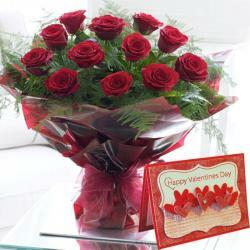 Sweep your love ones off their feet with this classy bouquet of flowers brought to you by Giftacrossindia.com. 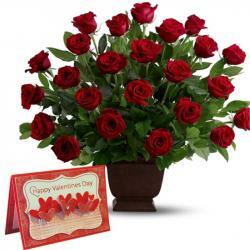 This exotic bouquet of flowers includes red roses that symbolize admiration, love and respect . These roses are partially bloomed and look beautiful. Bouquet of freshly chooses roses is sure to put across the emotions of your heart to the one you love. 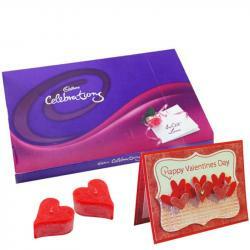 Product Includes : Bouquet of 18 Red Roses along with Valentine Greeting Card.